The service we offer here at Design Dental is superior in a number of ways. Our finest asset is our staff, all of whom have been thoroughly trained in their particular fields of interest. We have licensed dentists on board and a team of well trained and certified dental assistants all ready and willing to give you the best dental services possible. Each person working for us has work experience in addition to the many hours of training that they have acquired. You can rest assured that professionals are on the job. In order to provide you with the very best dentist Cartwright services, we have invested in very modern technology with which we can implement the many innovations of dentistry with ease. With a lab on site, you don’t have to book another appointment to have your dental fabrications down. We create crowns, dentures and bridges at the lab and also carry out adjustments as well as repairs and relines. The convenience of having it done in one appointment is one of the things that most people like about us. Ours is an affordable service. We know that your whole family needs to have their teeth looked at from time to time and it can get expensive. 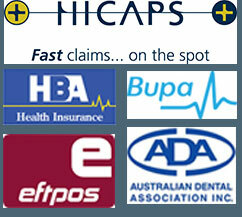 As such, we work with almost all insurance companies. When you call to book your dental appointment, simply check with our customer service staff to find out if your insurance plan is accepted. The answer will most likely be yes. We understand that most people find a dental visit nerve-racking. At Design Dental, we ensure that the atmosphere at dentist Cartwright is relaxing. One of the ways that we do this is by ensuring that the procedures are pain-free. Our commitment is to do everything we can to ensure that there is no discomfort for you at all.